Papers: 21 audiotapes (1966-1975) in Westinghouse Broadcasting Company collection, 1945-1981. Oral History: June 17, 1972. 27 pages. Papers: 1928-1990. Ca. 2,500 feet. Congressional and personal papers, including correspondence, memos, case files, legislative files, project files, staff files, campaign files, speeches, press releases, radio and television transcripts, photographs, tapes, film, publications and memorabilia. Only the public papers (speeches, press releases, etc.) are open. Finding aid. Oral History: August 21, 1972. 21 pages. J.C. Warren, hometown friend and supporter. Discusses growing up in Stennis hometown of DeKalb, MS, their years at MSU, the 1947 election campaign. Oral History: July 13, 1973. 25 pages. Sam Wilhite, Mississippi friend and supporter. Comments on the 1947 Senate campaign. Oral History: July 23, 1973. 60 pages. Robert D. Morrow, Mississippi friend and longtime supporter. Discusses his years at MSU, years in the army during World War I, how he met Stennis and the Stennis 1947 election campaign. Oral History: July 24, 1973. 15 pages. S.R. Evans, Mississippi friend and supporter. Discusses MS Congressman Frank Smith; Stennis 1947 Senate campaign. Oral History: April 29, 1974. 36 pages. Wilburn Buckley, Mississippi friend and political supporter. Discusses Stennis initial Senate election campaign in 1947, Senator Pat Harrison, Senator James Eastland, Senator John Sharp Williams. Oral History: July 17, 1975. 25 pages. John Hampton Stennis, son. Comments on the 1947 Stennis election campaign, the move to Washington, Stennis early Senate activities, family lifeespecially the problem of his father being away oftenhis mother, his own political career, anecdotes about friends and family. Oral History: October 17, 1975. 14 pages. Charlie Jones. Mississippi friend and longtime supporter, administrative assistant. Discusses friendship with Stennis, his years as administrative assistant to Stennis, characterizes Stennis as senator. Oral History: June 7, 1976. 23 pages. George Aiken, Senate colleague. Aiken reminisces about his friendship with Stennis, characterizes Stennis as a senator, comments on the McCarthy censure, Harry Truman, shooting of Stennis, John F. Kennedy, Vietnam, Lyndon Johnson, Mike Mansfield, National Forest Reservation Commission, seniority, civil rights legislation. Oral History: June 7, 1976. 23 pages. 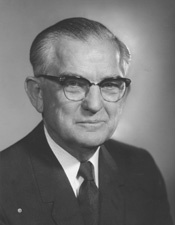 Norris Cotton, Senate colleague. Characterizes Stennis as a senator, Vietnam, McCarthy censure, civil rights legislation, Senator James Eastland, Yankee Thrift anecdote used in speeches by Stennis. Oral History: June 8, 1976. 22 pages. Leverett Saltonstall, Senate colleague. Characterizes Stennis as senator, hearings re: the firing of General MacArthur, comments on Harry Truman, civil rights legislation, service on conference committees, McCarthy censure, the Senate Club, Lyndon Johnson, J.F. Kennedy, and Armed Services Committee. Oral History: June 9, 1976. 37 pages. Sam J. Ervin, Senate colleague. Characterizes Stennis as a senator; discusses the Watkins Committee, McCarthy censure, civil rights legislation, the Senate Club, Watergate, Vietnam, and the seniority system. Oral History: June 15, 1976. 26 pages. Margaret Chase Smith, Senate colleague. Characterizes Stennis as senator, comments on the Senate Club, Armed Services Committee, civil rights legislation, her Senate relationship with Stennis, anecdotes about her service in the Senate. Papers: In J. Arthur Younger papers, 1951-1968. Oral History: August 3, 1987. 25 pages. Interviewed as part of the Tennessee-Tombigbee Waterway history project. Papers: In John Collier papers, 1910-1987.